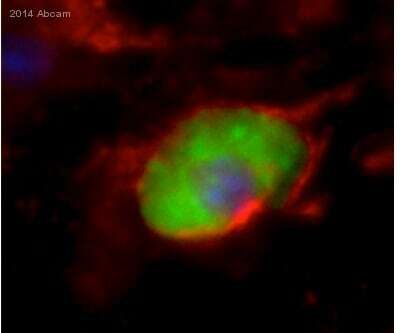 Does this b-actin antibody stain nuclear pools of actin? 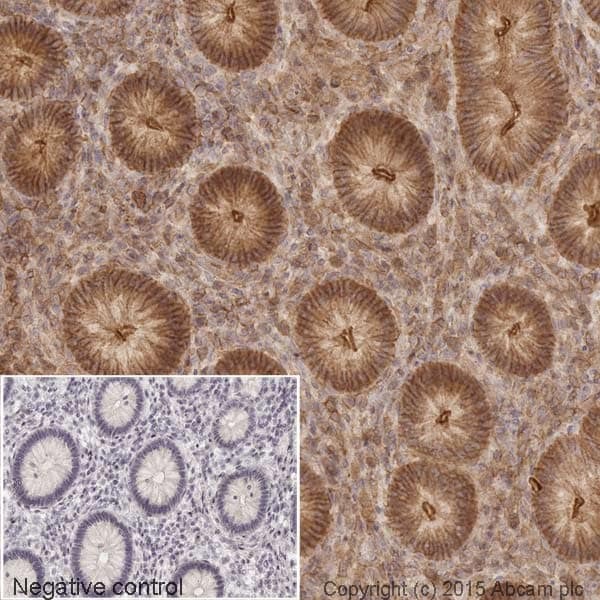 The demonstrative pictures show great cytoplasmic staining but it is unclear if there is nuclear staining. 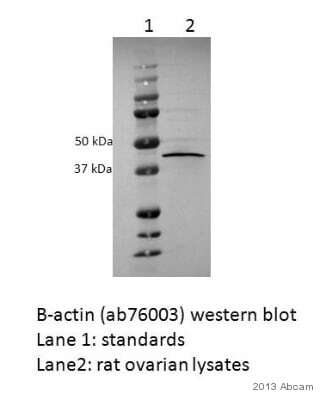 We do not know if ab8227 stains nuclear actin. 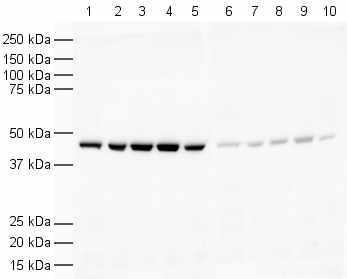 It is raised against a sequence from cytoplasmic actin, and we have not tested for cross-reactivity with nuclear actin. Would ab8227 work with either ab79667 or ab113279 for a sELISA? I just received an update form lab regarding the epitope for ab79667 and ab113279. 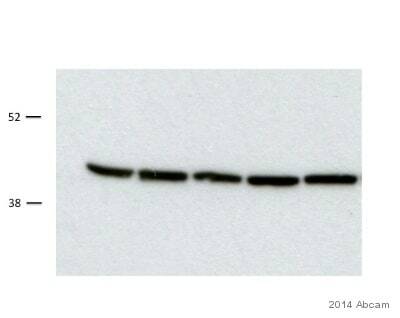 Unfortunately the epitope has not been determined so the information is not available. I am sorry we will not be able to suggest these to be paired with ab8227 in sELISA. We’d like to determine if the issues we are having with ab8227 are caused by a problem with the biology or a problem with your antibody itself. 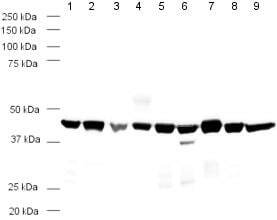 Can you tell me what you used as quality control for this antibody? I have had the opportunity to discuss our QC methods regarding this product with the lab. 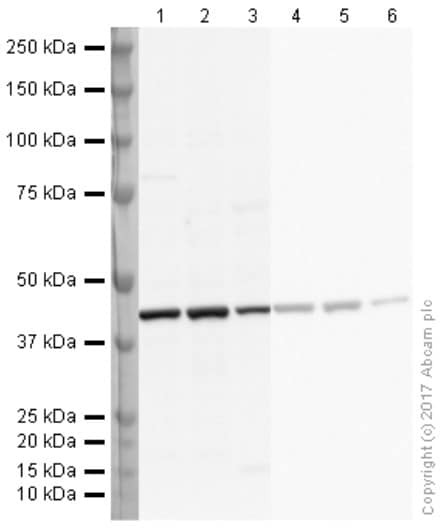 Ab17721 is batch tested by us in WB in HeLa, Jurkat and NIH3T3 lysates and also in Immunofluorescence in HeLa cells. Each new AP purified must pass both of these applications to be put into stock.